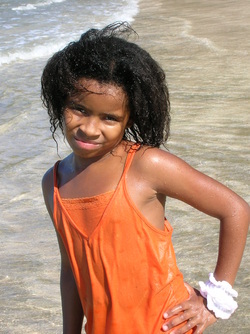 … to break the cycle of poverty for children ages 4-19 through academics, athletics, and community service. And no family ever pays The Stars of Tomorrow for anything. You can make your tax deductable donation by mailing a check to our office. All money received unless otherwise noted, will go into the general scholarship fund. Every dollar donated goes directly to the children. REMEMBER ALL DONATIONS ARE ALL 100% TAX DEDUCTIBLE!!!!! You can personally change the life of a child! 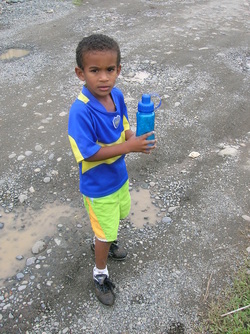 For $175 you can send a child to school for one year in Costa Rica. Your sponsorship will purchase the mandatory uniform required for all children attending public school in Costa Rica (including shoes), as well as all necessary school supplies and a backpack. In addition to this, your support will guarantee that your sponsored child has the necessary educational materials to continue their advancement in their English language studies. 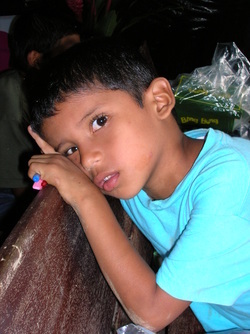 Remember your sponsorship of these children is 100% tax deductible!! Soccer has been said to be a gateway sport. It is a sport that anyone can play just about anywhere. The team sport of soccer helps develop social skills, cooperation, and problem solving skills in large groups of youth. Our soccer program facilitates an environment that promotes physical confidence, positive body awareness, and an appreciation of all shapes and sizes of the youth involved. Additionally, it gives our kids a place to go. A safe, positive, and fun place, where kids can be kids. Your support will help provide the necessary equipment, such as balls, nets, jerseys, cleats, shin guards, etc... that these kids need to learn and play this wonderful sport. Have you ever skipped breakfast on the way to work, and then were unable to concentrate because the hunger pains in your stomach were too distracting? This is the day-to-day experience of every single child in our program as they try to study on an empty belly. The Free Breakfast/Tutoring Program is looking to get off the ground in mid 2013. We have just secured a location and are raising funds to be able to supply breakfast to about 60 kids before school, as well as a snack after school during their free homework help/tutoring hour. Your support in this area will guarantee that they start their day with a solid meal, end their school day with a wholesome snack. There are many ways that you can help these children if hands-on is more your style. Arranging a school supplies drive in your area, organizing a charity walk or run, or donating new or lightly used soccer equipment are all ways to help. 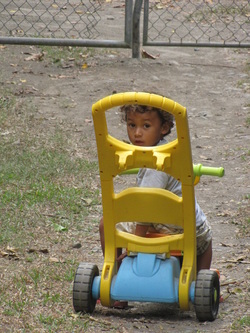 If you have some money saved and want to come to Costa Rica and work with the kids directly, we would love to have you. The possibilities are endless! Please contact us with any questions, thoughts, or ideas of ways you would like to help.